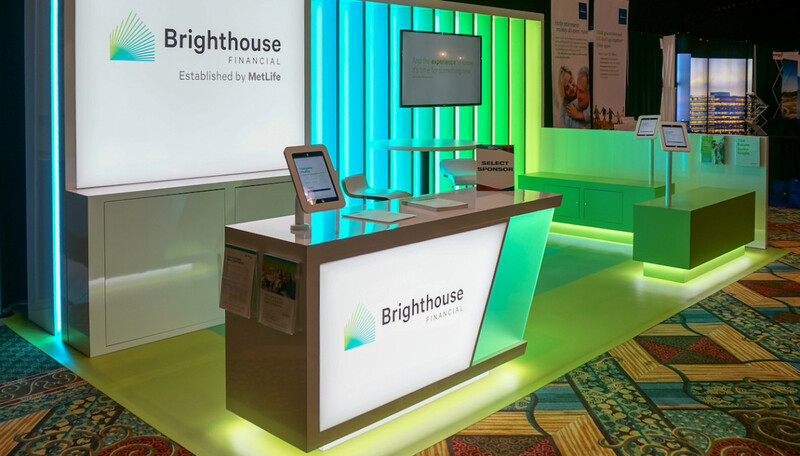 Brighthouse Financial’s design goals included bright, simple graphics and minimalism. The brand also sought functionality within the 10x20 inline trade show display, so ample storage space was needed for print collateral and marketing materials. 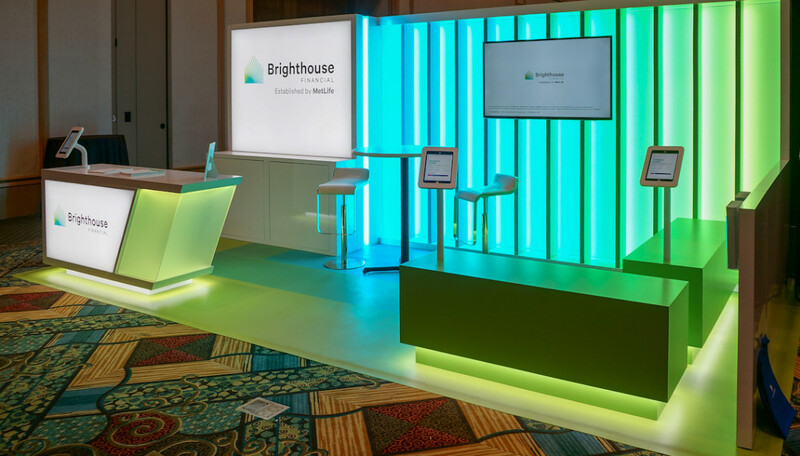 Nimlok designed the trade show exhibit to reflect Brighthouse Financial’s vibrant branding. Bright LED lighting with a green-to-blue color palette ran along the back wall of the space. Underlit cabinets and counters with green LEDs accessorized the rest of the space and served as functional storage space for staff to keep their materials. 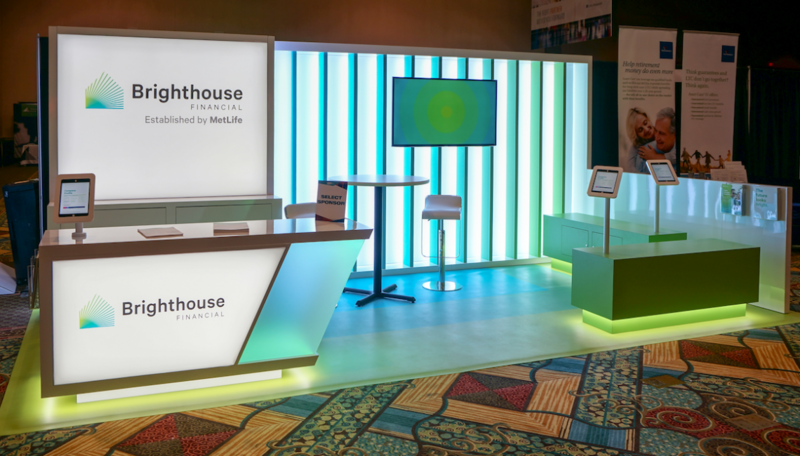 To build lead capture and brand awareness, iPad stands were placed on the booth’s surfaces, while a meeting space in the back was integrated for one-on-one consultations.